We tend to think of biobased materials as inherently greener—but even “natural” and “rapidly renewable” materials can carry big environmental impacts. 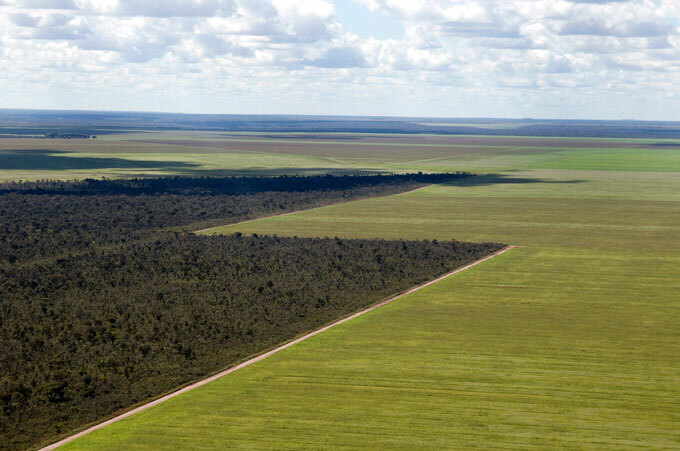 This aerial view shows unpaved roads dividing a soy monoculture from the native cerrado in northeastern Brazil. The most biologically diverse savanna in the world, the cerrado has already lost roughly half of its original vegetation. It seems like biobased materials should be inherently preferable—but that doesn’t mean they always are. Even the most “natural” and “rapidly renewable” materials can carry big environmental impacts. How to accurately evaluate their impact on our industry and our world is tricky, but the green building community is starting to take a much-needed closer look. Here’s what we’re finding. Countertops-Laminate, Composite, Solid Surface, or Natural?